Today, as I prepared for our weekly playdate at Kerrie’s, I invited David to come along. He was planning to work down in his shed, but there was nothing that was so pressing, especially when I said we would be swimming. It was great having another person in the pool with us. Kerrie and her dad moved the plastic cubby house from the front yard to the pool, introducing a slide, and David wowed us with his acrobatics. Thanks, Kerrie, for letting us come over! David was spinning Calista around and around, and you can see she's anticipating the moment at which she'll catch his eye again. 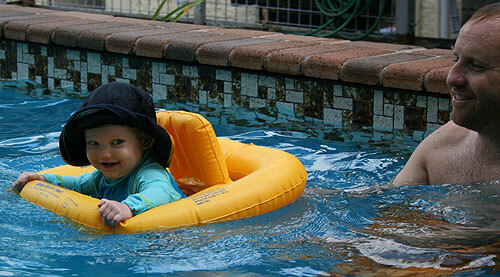 Alex and Damien are very adventurous swimmers. Our girls primly sit on the step while these two boys explore the whole pool. 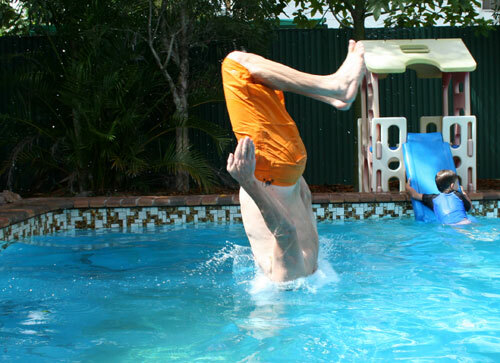 David started doing some marvelous somersaults and backflips. 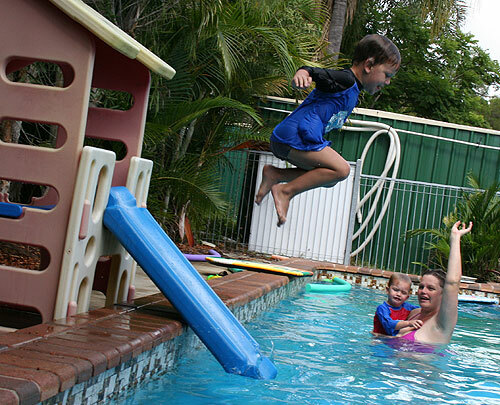 This is a typical Queensland backyard: a pool, a couple of palm trees and the rotary clothesline in the background. 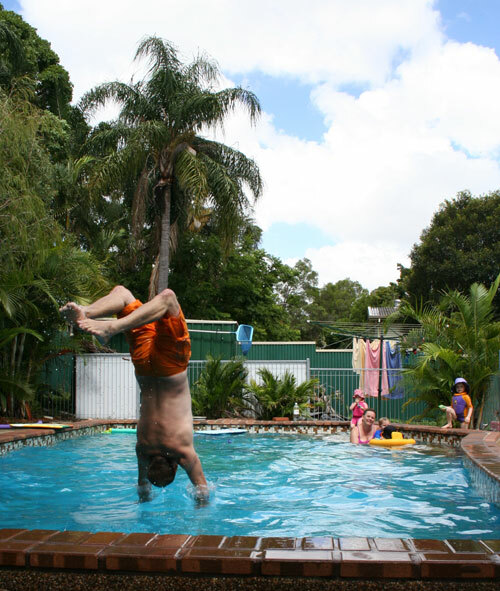 There was once a time when I would have tried to backflip into the pool, but now I’m too scared… is that because I’m just old and stodgy?